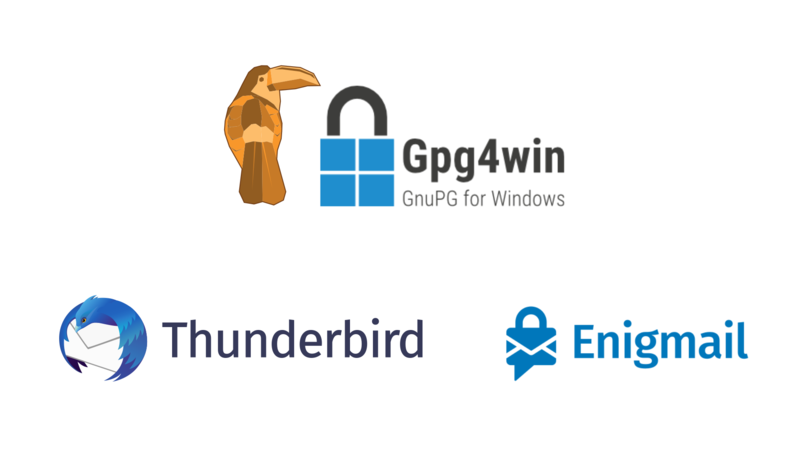 Enigmail – add-on for Thunderbird which provides support for gpg so you can use it in the email client. If you want to see the complete step-by-step process of installing all those components, please watch this video. This version of open source software suite has Cryptoucan™ related patches. On top of encrypting your emails, this piece of software also enables you to manage your keyring. Browser integration – enables Mailvelope browser extension support. Between Kleopatra and GPA we recommend you to install Kleopatra. When it comes to other components, it is completely up to you. As we mentioned previously, Kleopatra is useful for basic key management. 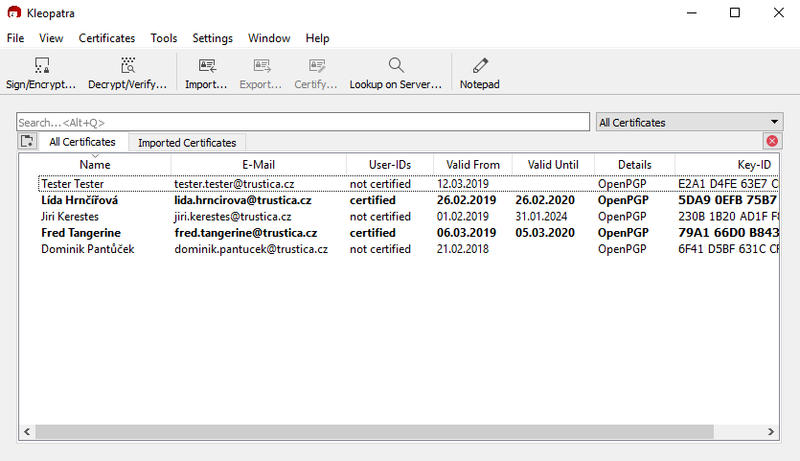 You can import and export certificates, edit your Cryptoucan™ details, change PINs and other key related stuff. We will cover these operations in future videos. 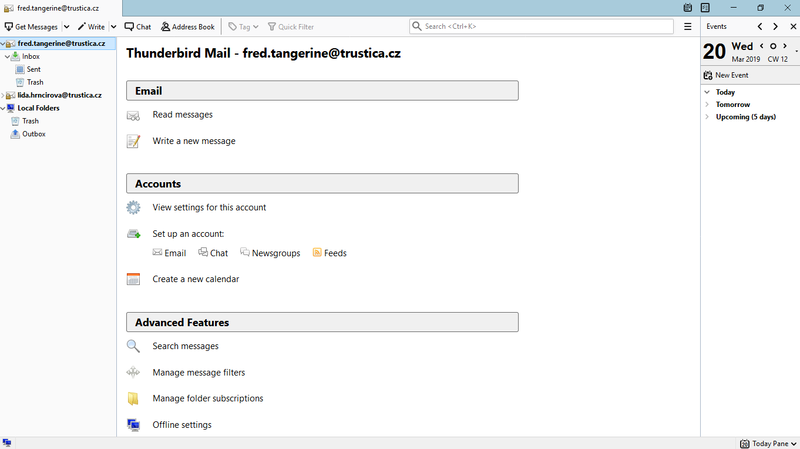 Thunderbird is an e-mail client that supports multiple accounts from different e-mail providers. Although Cryptoucan™ can also be used with other e-mail clients like Outlook, Thunderbird has best GnuPG support and is free to use. That’s why our first instructional videos and blog posts focus on this specific e-mail client. Enigmail is not a stand-alone software as previous ones, it’s an add-on. You will get Enigmail through Thunderbird software itself. When you go to the add-ons menu you may sometimes see Enigmail among other suggested add-ons right on this default page, but in most cases you will need to go to the Extensions tab that on the left panel. 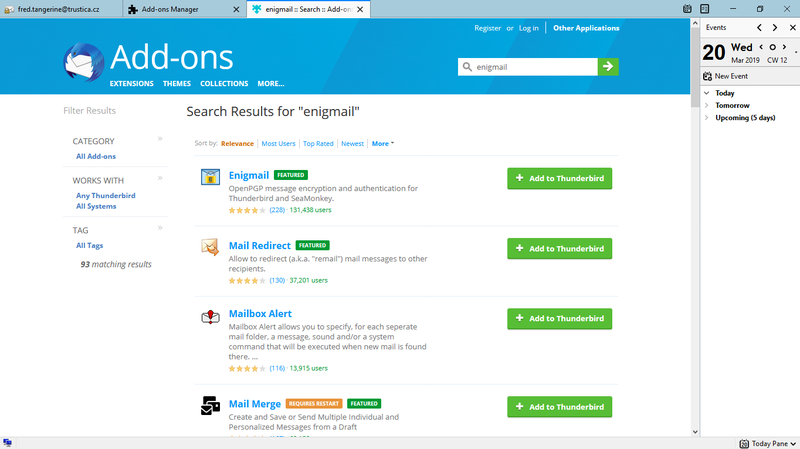 If you search for Enigmail in the search bar at the top of the page, you will be re-directed to Thunderbird webpage within the email client itself as it opens in new tab. You can check if you successfully installed Enigmail in the Add-ons Manager tab since it’s not obvious from the download page itself. 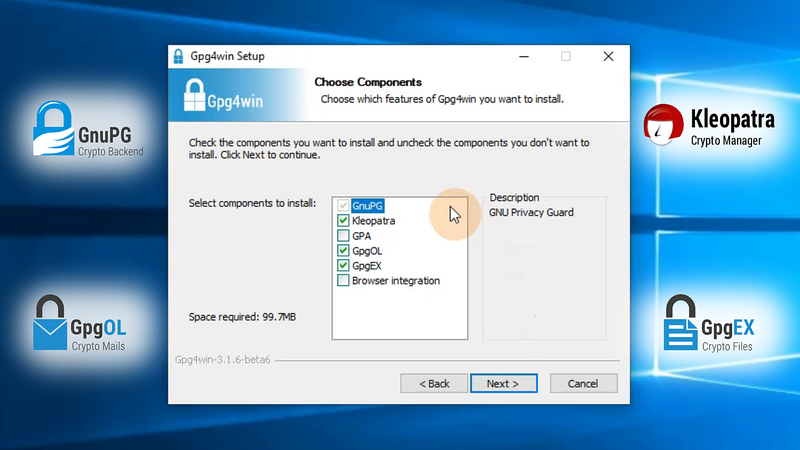 If you’re having trouble with installing the software – you may not know what components to choose while installing gpg4win or maybe you don’t know which installation of Thunderbird to choose – we highly recommend watching our tutorial. Thank you very much for reading, we will see you next week – same time, same place!